What if aliens really did visit Earth? How would we communicate? 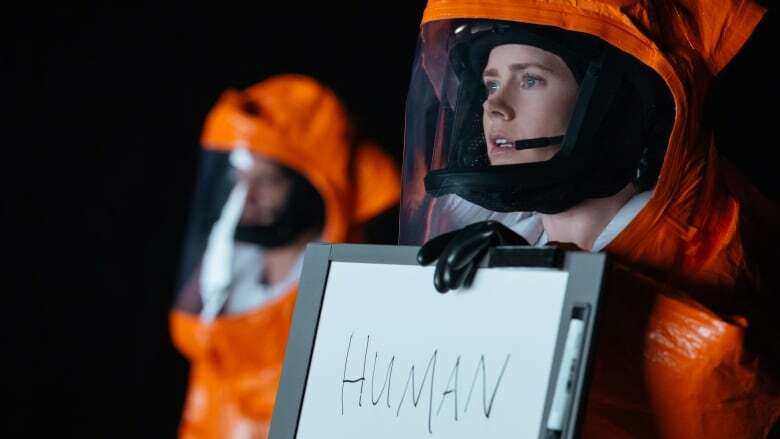 In the new movie Arrival that comes out this week, Amy Adams plays the role of chief alien translator, Dr. Louise Banks. She's a linguist and her priority is to find out what the aliens want and where they're from. But with no language in common, it got us wondering — what if aliens were to visit us for real? How would we communicate with them? Quirks & Quarks' producer, Sonya Buyting, sheds some light on this potential communication conundrum. Many very smart individuals, like professor Stephen Hawking, caution against communicating with extraterrestrials. But what if we might someday receive an alien signal from one of Earth's active listening SETI projects. SETI stands for Search for Extra Terrestrial Intelligence. Dr. Seth Shostak, a senior astronomer with the SETI Institute, says if aliens ever come to Earth, clearly they've got more capabilities that are beyond us and we better communicate and negotiate with them. The movie Arrival is based on a short story by Ted Chiang called "Stories of Your Life." In the short story, he describes how a linguist would systematically decode an alien language. The methods were based on the work of the late linguist Kenneth Pike and a method he pioneered called monolingual field work. Dr. Dan Everett, a linguist and Dean of Arts & Sciences at Bentley University in Massachusetts, trained under Kenneth Pike. He demonstrates how to do this monolingual field work, which is a method to systematically replace noun for noun, verb for verb, until he builds up a lexicon of a new language.